One Owner Solid Charmer with Great Bones set on beautiful park like lot ! Many boxes checked off here, featuring 1st Floor Master, 2 Full Baths, spacious Living Room, Dining & fully equipped efficiency Kitchen. 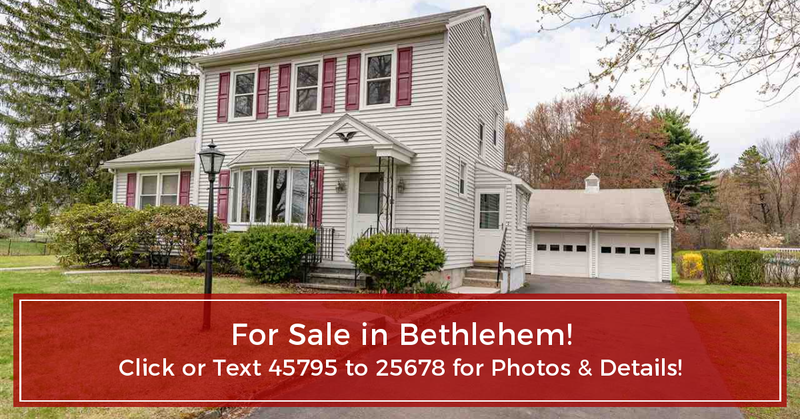 Gorgeous 3 Season Room, Hardwoods, Bay Window & 2 Car Garage. Lovingly maintained over the years, you chose the cosmetic updates. Improvements/Updates include fresh paint, new carpet, replacement windows & siding, septic updates, furnace boiler/chamber/circulator/thermostat, garage doors/openers, new Electric Box & sump pump. Quiet Dead-end street, close to all. Bethlehem schools. Transferable Home Warranty Included. Parcel merger approved with town, verify taxes with town, owner received verbal assessment of $202,000 and approximate taxes of $6020.